These Chapter members focus on activities for the female members of our Chapter and encourage other women to be more involved in Chapter activities, whether they ride the front seat, the back seat, or even if they don't ride at all. 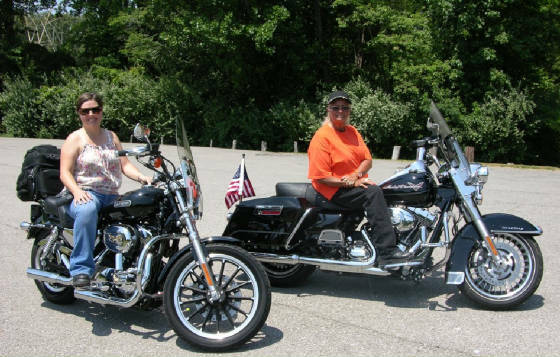 Our Ladies of Harley Chapter members, are an important and integral part of our Chapter! Additionally, our Ladies of Harley Officers also keep track of Chapter Member's birthdays, anniversaries, (for congratulations notices at the meetings and in the newsletters), and any member, who has been ill, hospitalized or otherwise had a personal trauma that warrants the condolences, prayers, and thoughts of the other members. When appropriate, the LOH Officers ensure that a card, note, flowers get sent out to the needy member so that they know they are not forgotten and not alone in their times of need. Below, are some pictures of some of our L.O.H members and a little bit about them. 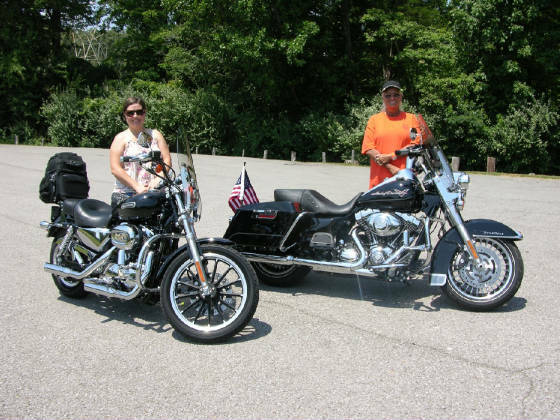 Here are a couple of pictures of Janice and Tessa with their bikes and a link to an interesting story about how they have become close friends and shared their love of riding, and "shared" bikes. 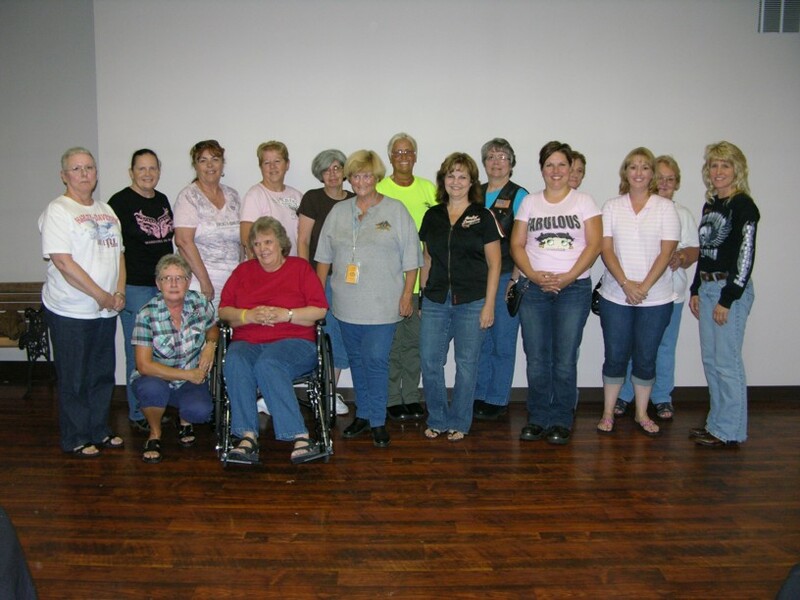 Below, are sixteen of our LOH Ladies, who were in attendance at our monthly Chapter Meeting in August 2012. They made up nearly 50% of the members in attendance at that meeting. This ain't just a, "good ol' boys club"! The Lady center/right, front row, wearing the black shirt is Mary Rose. 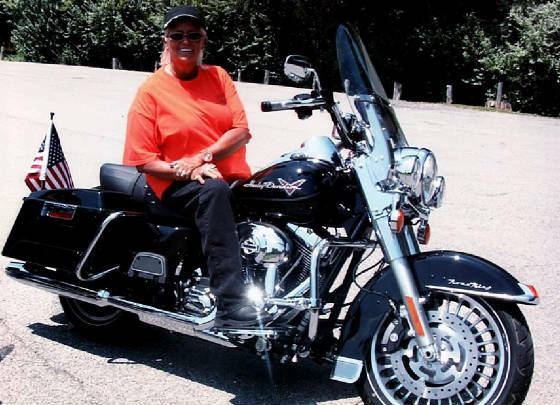 She is the General Manager of our sponsoring dealer, Appleton's H-D.